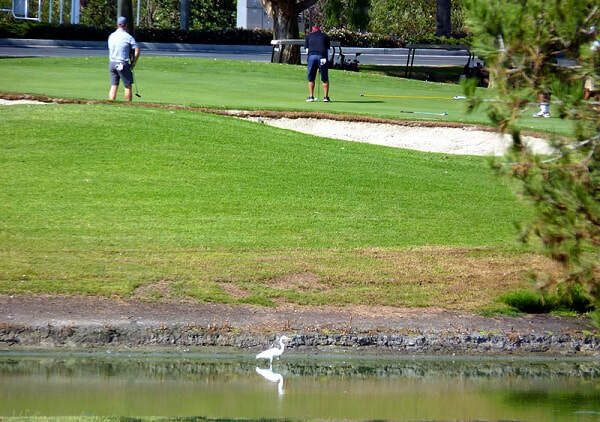 The Rancho San Joaquin golf course is part of a contiguous wildlife corridor for a variety of migratory birds and wildlife. Along with the RSJ golf course, the wildlife corridor includes the San Joaquin Wildlife Sanctuary which is due west, William Mason Regional Park which is due south and Upper Newport Bay which is further south. Together this open area in Irvine and Newport Beach is one of the best birding locations in all of Southern California. Over 282 bird species, including 170 regularly-occurring species have been observed in this corridor area. 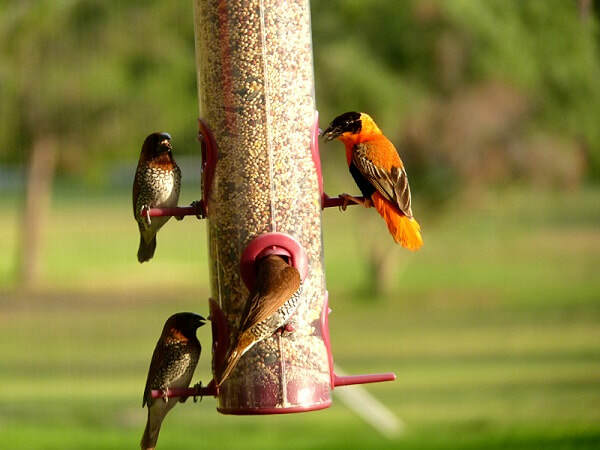 ​Below are just some of the 282 bird species spotted on the RSJ golf course by our Irvine residents who live near the RSJ golf course. 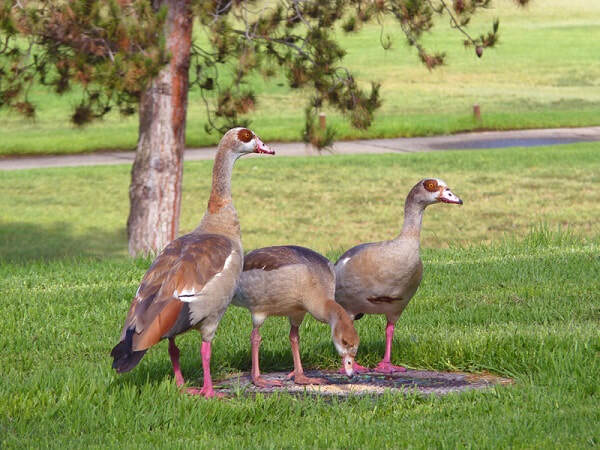 The photos of these beautiful birds were all taken by Irvine residents at the golf course. Common throughout North America. Migratory from Canada to as far south as Florida. 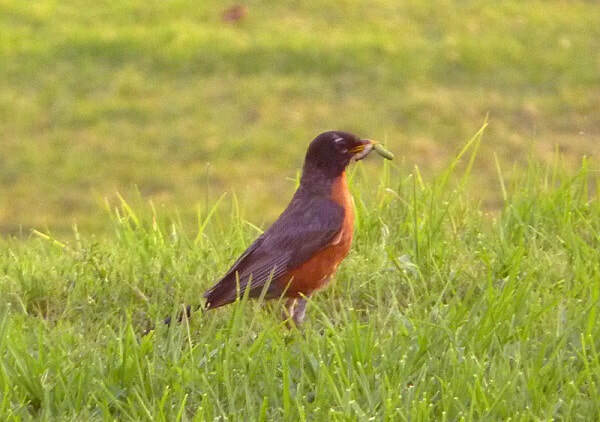 Industrious and authoritarian birds that forage mainly on lawns to feed on earthworms and bugs. They produce three successful broods per year. They live an average of seven years. Some are known to live 13 years. ​Migratory. Native to all of North America. Able to establish breeding colonies in urban and cultivated areas which provide food and few natural predators. 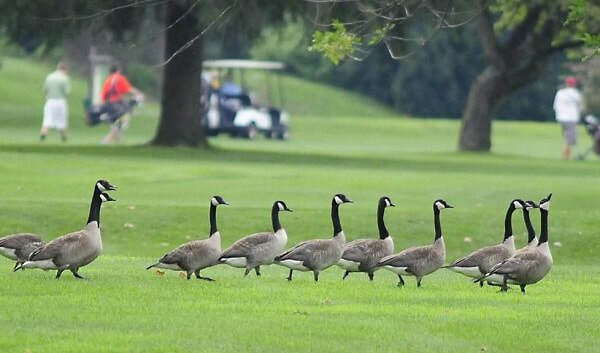 Are well known as a common park species where they take advantage of safe, man-made bodies of water and golf courses with food sources. Will aggressively defend their chicks by chasing away nearby creatures and humans who approach. Known for their loud honking sound and cautious begging behavior around humans. Lifespan ranges from 10 to 24 years. ​Migratory. Native to Africa south of the Sahara and the Nile Valleys. Small flocks exist in Texas, Florida and Southern California. 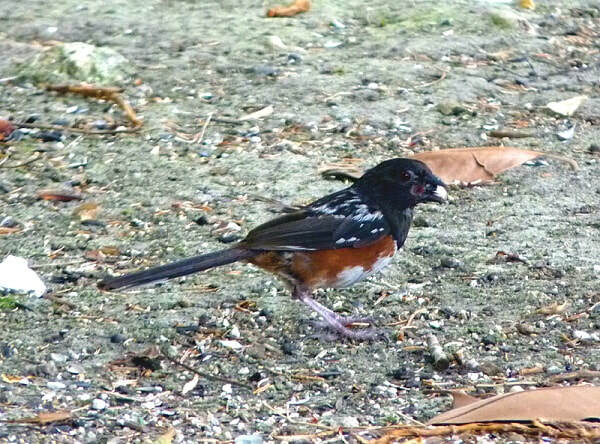 Mainly terrestrial, feeding on seeds, leaves, grass and bugs. Nests in mature parkland trees. Mating pairs remain coupled for life. 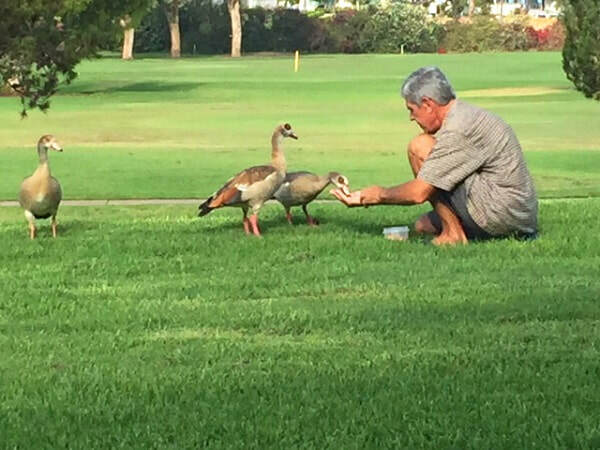 Egyptian geese are unusually smart and can be coaxed into being fed by hand. They were considered sacred by the Ancient Egyptians and appeared in much of their artwork. ​Found in lakes and seashores throughout North America. Thanks to specially shaped neck vertebrae, they can quickly strike prey at a distance. Besides hunting for fish, Great Blues have been known to stand over squirrel holes and strike at unsuspecting rodents. They rest at night in their favorite tree, the eucalyptus. ​A subspecies of the Great Blue Heron. Migratory. 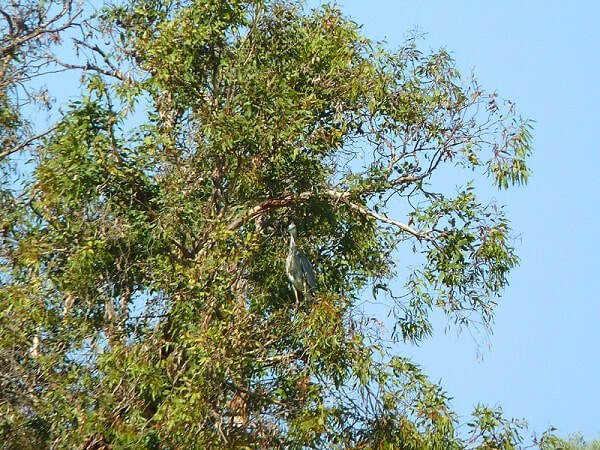 Similar feeding, nesting and breeding characteristics to the Great Blue. 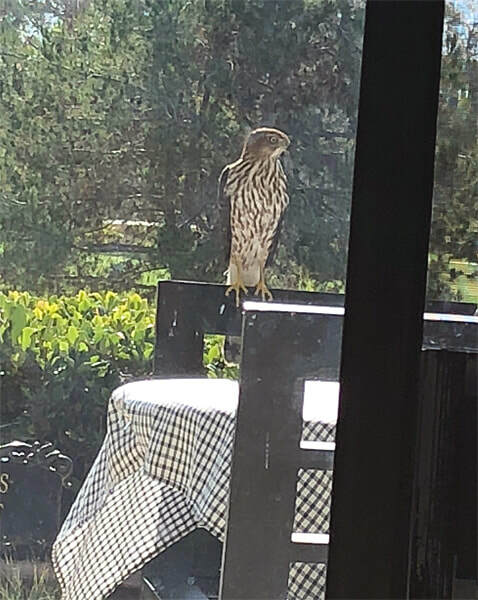 Found in Mexico and the Southwestern United States. Members of the blackbird family. 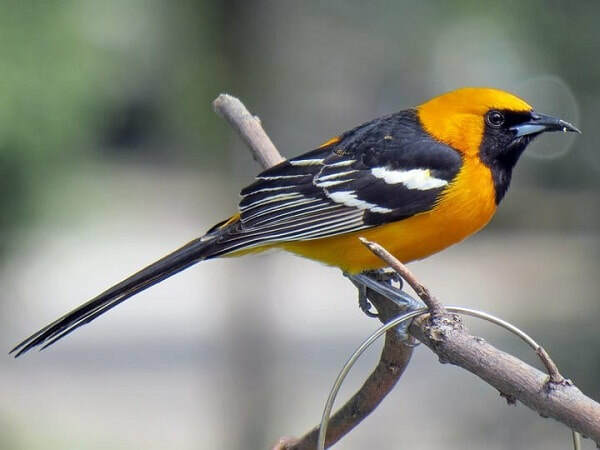 Sometimes called "palm-leaf orioles" because they "sew" their hanging nests onto the undersides of palm fronds. Their brilliant color, large bodies and constant chatter makes them easy to identify, though they tend to be inconspicuous and sometimes remain hidden even while singing. 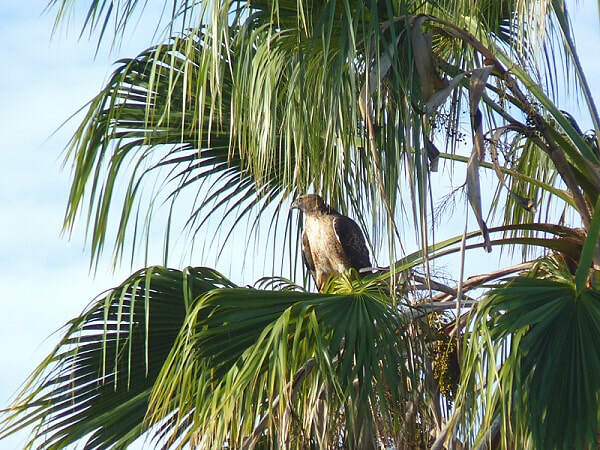 Strong, pointed bills lets them pry apart thick vegetation for food. ​Native to northern Africa. This species has been reported in Miami, Houston, Phoenix and Los Angeles. In most cases, these are escaped bird sightings. There is a known breeding colony in Houston, Texas. Unusually gregarious species which feeds on seeds, grain and some insects. Nests in colonies when enough have survived. ​Native to Africa south of the Sahara Desert. 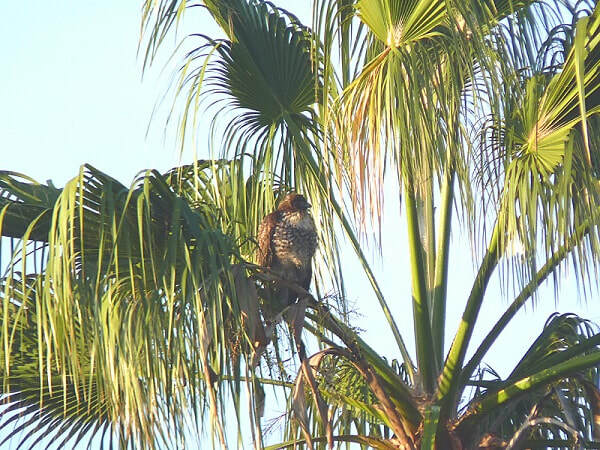 Small groups have been spotted in Southern California's Orange County, Puerto Rico, and Singapore. 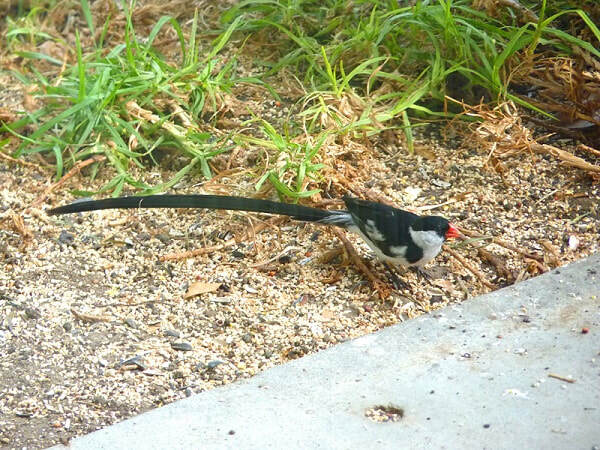 A ground feeder that is known to aggressively kick dirt aside when digging for seeds. 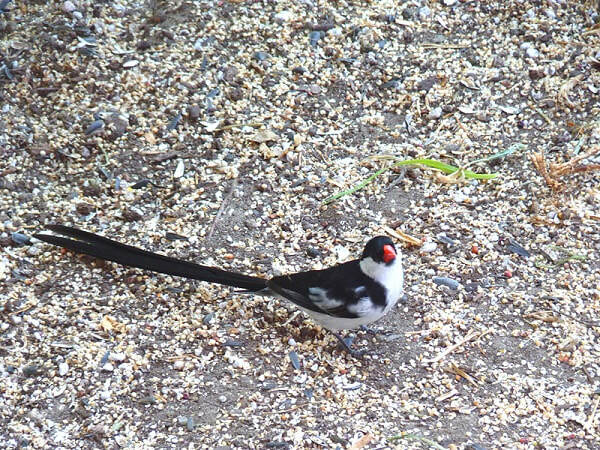 Female whydahs lay their eggs in the nests of other bird species, fooling the foster parents into raising the pin-tailed whydah chicks. Smart. Aggressive toward other species. 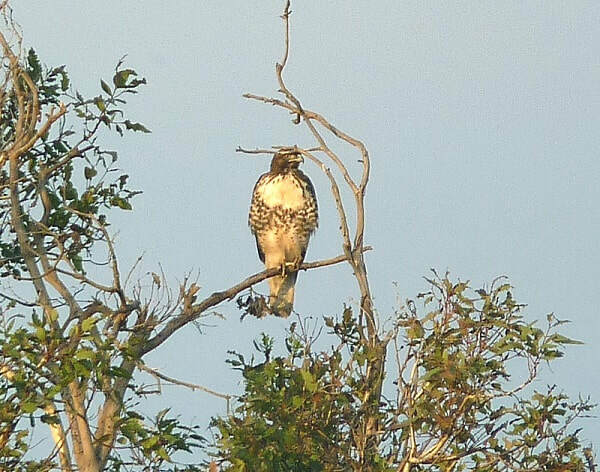 "We often see three distinct Red Tails in the trees near our patio. One of them has the markings of a juvenile. The other two are a young adult and a mature adult. Magnificent birds. They sit proudly for long periods of time, sometimes as long as an hour. 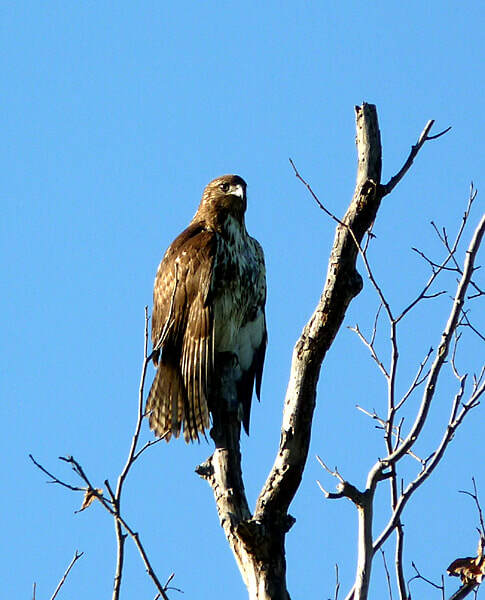 We have yet to witness a Red Tail catching a squirrel but there are plenty to feed upon, probably why we see Red Tails around here." Native to India, Malaysia, Singapore, Bali, Philippines and Southern China. 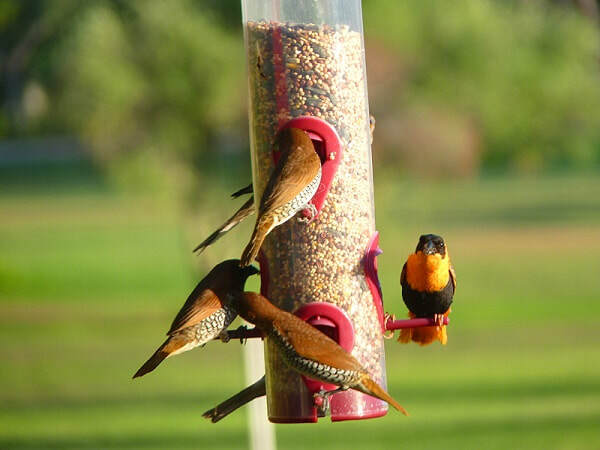 Sociable, active birds that spend their time feeding and socializing in large groups. At night they sit side-by-side in close contact with each other. Easy to manage, making them highly desirable as caged pets. Widespread in the Western United States. Rummages in grassy areas and shrubs. 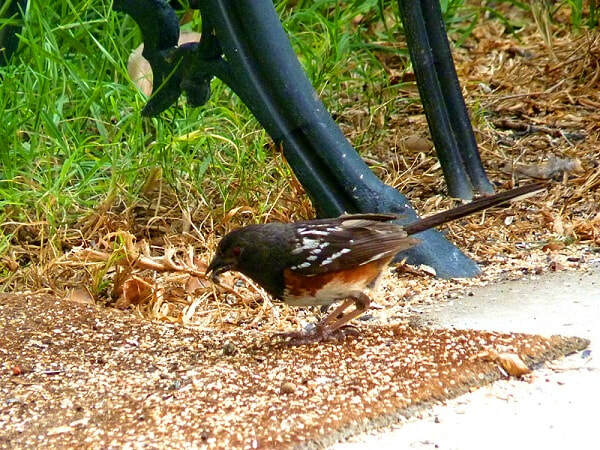 Uses a distinctive two-footed backward kick to uncover seeds and bugs. Western bluebirds are "cavity nesters" and have few local trees that work for their nesting. 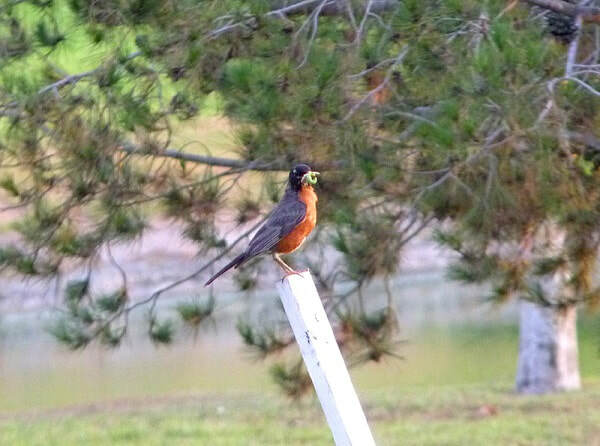 So, Irvine resident volunteers spent years developing and sustaining a trail of 30+ nest boxes in Mason Park and on the RSJ golf course for this beautiful species. 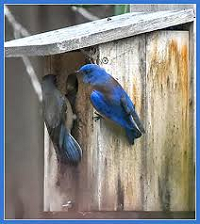 Western bluebirds nest from early April through June, sometimes having as many a three clutches (two to five eggs) in a season in each box. Volunteers regularly fledge over a hundred chicks each season to add to the population. 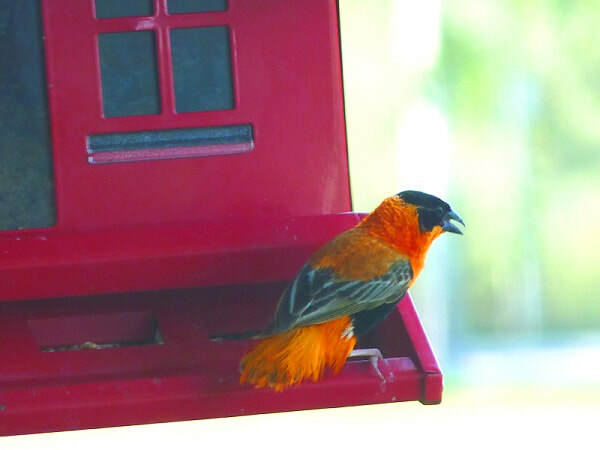 A weekly census is reported to Cornell University's Lab of Ornithology.